I felt this book had a really slow start. And while I don’t have an issue with slow starts if it is a result of world building, I felt that the time it took to get to the world building was excessive. There was a lot to get through in so few pages however. The story is about Alice, a young girl who has always been on the run and who leaves destruction in her path. Alice’s grandmother is famous for writing fairytales, and much like Alice never knowing her reclusive grandmother, Alice has never read the stories that made her family name be met with awe and wonder. Although life begins to change when Alice and her mother receive word that her grandmother died in her mysterious estate, The Hazel Wood. As if that is not enough, Alice’s mother is then kidnapped, leaving Alice to find out everything she can about Hinterland before she ignores her mother’s orders to stay out of The Hazel Wood – but how can she learn anything about the stories written when there are no copies of the book left? And all of that is before the action really starts! So yes, there is a lot of backstory to get before you are really thrown into the story, so it is a little slow at the beginning (well, first half of the book). Our protagonist Alice is kind of hard to like. She is a little one dimensional for the most part, and whilst I appreciated her dedication, I found her manner to be selfish, rude and somewhat misguided. I feel that I could have enjoyed Alice’s tag-along friend Finch, but I just didn’t get to know him well enough. There were hints of his story and his motivations, but it was through Alice’s eyes. I think he could have been a much more interesting character if given some more page time. I felt that there were a few characters who could have been given more of a story, as they seemed to be more of a placeholder – I just needed more depth to the characters and the relationships. 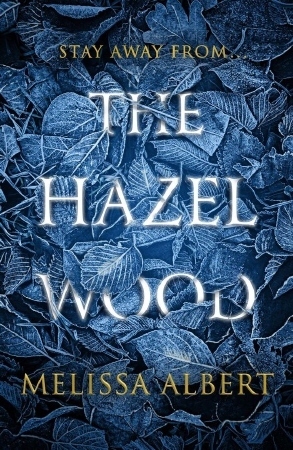 The Hazel Wood is filled with beautiful prose, which is something that I was enjoy in a story. Besides the pacing, the story was well written and I was captivated by the overall storyline. The creepy aspects were fantastic. I really enjoyed the mingling of fairytale and Alice’s modern world, and how the tales intertwined and shaped so many lives. I felt the fairytales within this book were eerie and dark, and I would LOVE to read the book referenced in this story and the grim and creepy stories within. While I have stayed away from reviews of this book, I have noticed people have likened this to Alice in Wonderland. To me, this is not that book. Besides the character name of Alice, and a few direct references to Alice in Wonderland, do not expect a retelling of Carroll’s story. This Alice goes down her own rabbit hole, none of which includes a white vested rabbit, mad hatter or cheshire cat – there are new and more creepier woods to explore! Overall I enjoyed the story, I just wanted a little more. A little more depth to the characters, a touch more (new) world building and whole lot more of those dark tales that we just didn’t get enough of. This book is the first in a series. I am unsure where this could go from here. To me, this book felt complete. I would much prefer, and hoping, that future books are spin-off stories, where you can keep tabs on Alice’s story-line but hear a new story about another character. I won’t say who I would like this character to be, but I feel that there has definitely been a few openings left for other characters to have their own story in the future.